55% of consultants who were working in the exploration and production sector in 2013 are no longer working in the oil industry. This was one of the key findings of the OPC Consultant Market Report 2016. The report from OPC obtained data from nearly 500 E&P consultants and provides a detailed insight into the current state of professional consulting in the sector. Of those that were working as consultants in 2013 (prior to the oil price drop in 2014), only 27% are still working as consultants in E&P. Another 18% have taken permanent or staff positions in the oil industry (not necessarily in E&P). 11% have found work in another industry and the largest percentage in our survey, 44%, are not currently working in paid employment at all. 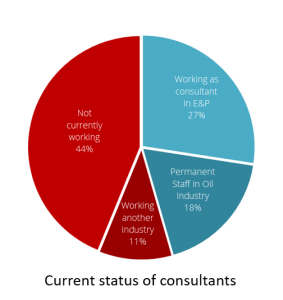 This indicates a very large drop in the utilisation of professional consultants within E&P. Of the 55% that are currently not working in the industry, 68% hope to return when the sector recovers but 32% say they will not return. Some are contributing to society in other ways. 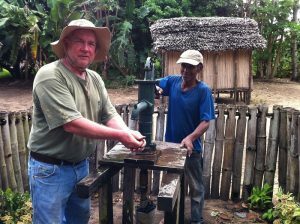 For instance, Fred Rittelmeyer is helping to drill fresh water wells in Madagascar (see photo).